The world’s most famous clown is the latest to fall victim to the “clown sighting” epidemic. Ronald McDonald's photo might still be on window’s at your nearest McDonald’s, but you won’t see him out at public events. Some customers think, given the national dialogue around clowns right now, it’s the right move. "To make people feel comfortable it’s an OK idea," said one New Hampshire customer. Other customers necn talked to think it’s a publicity stunt. "I think it’s a good PR move from their perspective," the customer said. 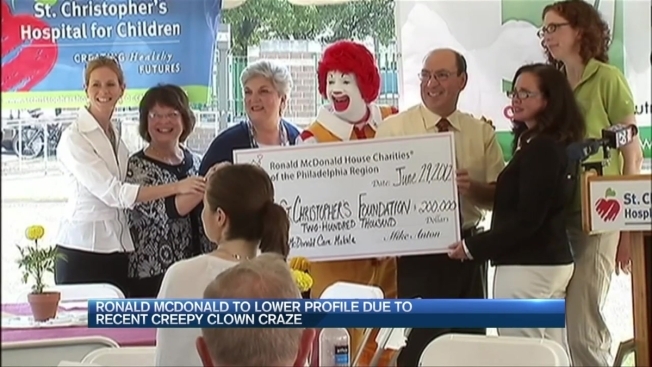 No word yet on exactly how long McDonald’s will keep Ronald McDonald away from public events.